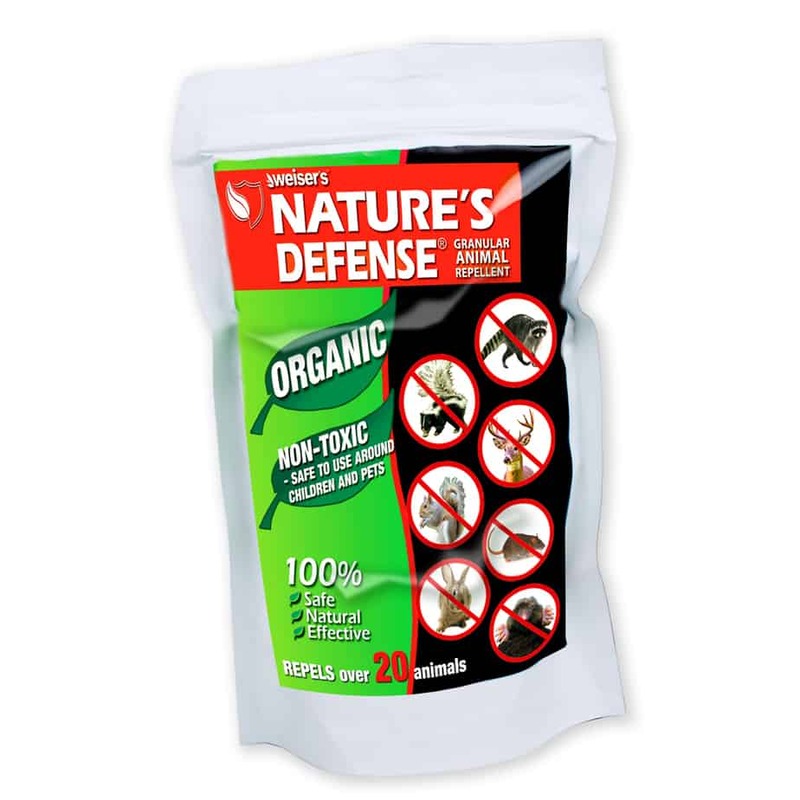 Nature’s Defense organic repellent granules are 100% organic, environmentally safe, harmless to people and pets (unlike traps or poisons), and contain no harmful chemicals within the formula. The “All Purpose” option repels 22 different species. 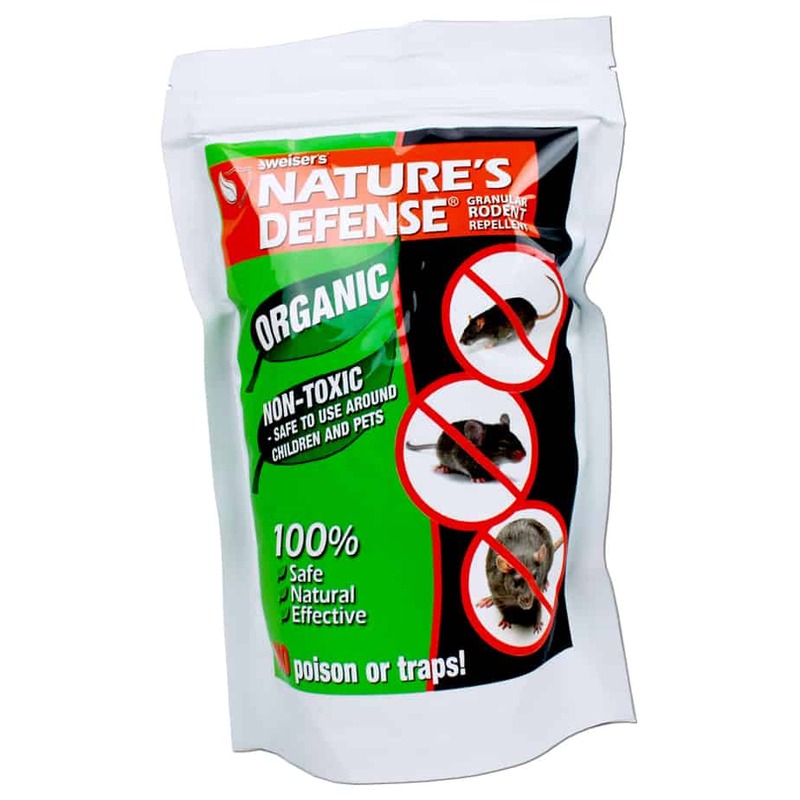 The “Mouse and Rat” option is most effective on rodents only.